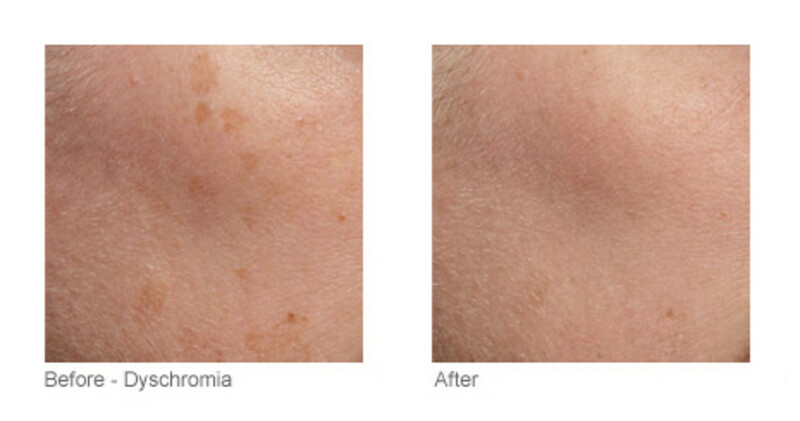 Fraxel is the brand name of a laser skin resurfacing treatment that you get at the dermatologist&apos;s or plastic surgeon&apos;s office, and it works by delivering tiny holes of heat deep into the skin. The heat wipes out dead and damaged skin cells and stimulates new collagen formation, but because it&apos;s happening only through the small columns, the surrounding skin is left intact—meaning there&apos;s no downtime. (Back in the day, resurfacing meant burning all your skin off at once and then waiting weeks for it to heal. Fun times!) How many treatments you need depends on your skin type and condition; it can dramatically even out your skin tone, erase pigmentation, smooth fine lines and wrinkles, minimize pores and even fade scars. 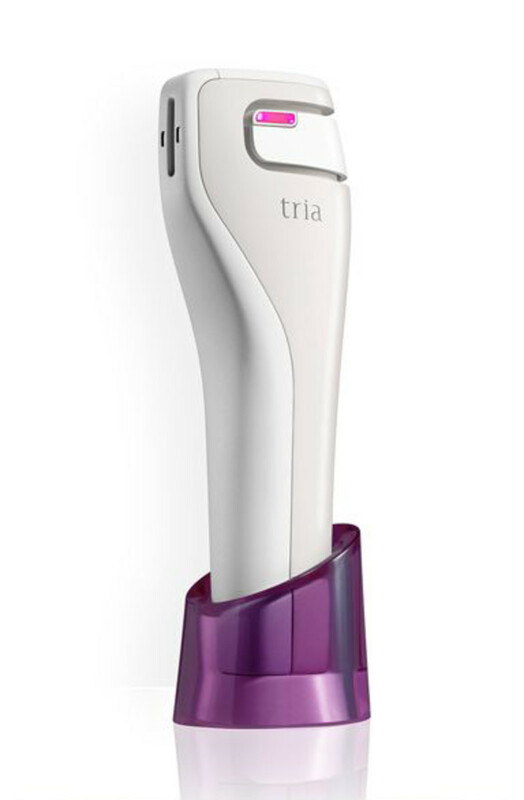 Tria Skin Rejuvenating Laser, at Amazon.ca. 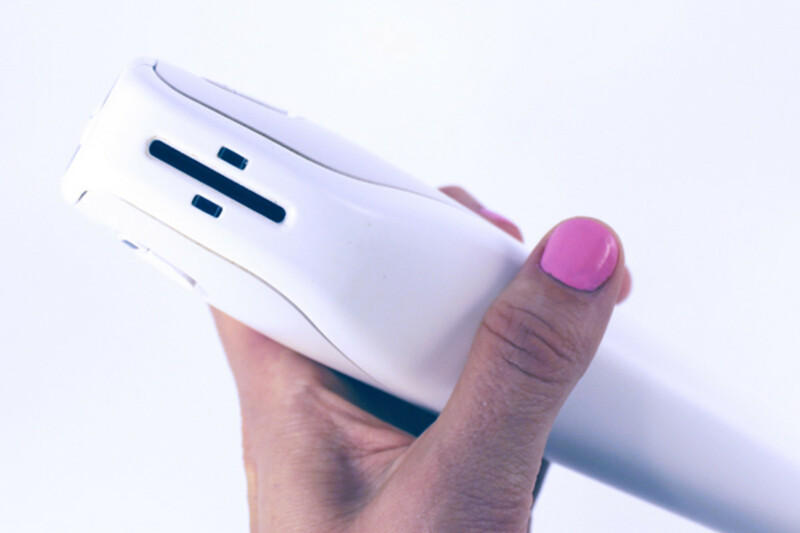 OMG, it&apos;s a handheld device that lets you do the same kind of thing at home. 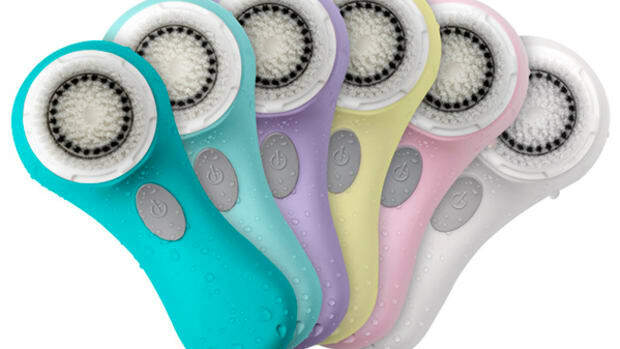 It&apos;s still expensive ($495), but it&apos;s based on the same technology as professional fractionated laser treatments: it delivers light that creates microscopic injuries in the skin, triggering the elimination of damaged cells and the production of new collagen. Obviously, they can&apos;t make it as potent as the office kind (otherwise you could hurt yourself and Health Canada would never approve it), so it will take longer to get the results, but the benefit is that you can DIY... again and again and again. So far, it&apos;s only available in Canada and the U.K., not the U.S., and is approved for use on the cheeks, chin and forehead and around the eyes and mouth. It&apos;s safe for all skin tones, but can&apos;t be used on skin that contains permanent makeup or skin that is tattooed, infected, burned or cut (ouchie). "It&apos;s very similar to the lasers that we use in the office. If you come to my office, we have some very expensive lasers that can resurface your skin. One of the lasers we have is called a fractionated laser, so it shoots tiny beams of energy—we use carbon dioxide—and that goes down into the skin and it causes the skin to regenerate. The Tria does that with light energy. So you&apos;re shooting these little balls of light down into the skin. That causes the skin to disrupt and re-grow. As it re-grows, the collagen thickens itself and you start to notice that the little fine lines start to disappear. It really helps with the texture of the skin as well. The other thing that it does is there&apos;s brown pigment deep down in the skin and if you can regenerate the collagen, that pigment will come to the surface." So he&apos;s saying that it does work. After hearing that, I thought, "If he&apos;s on board, I&apos;m on board." So here are the claims. 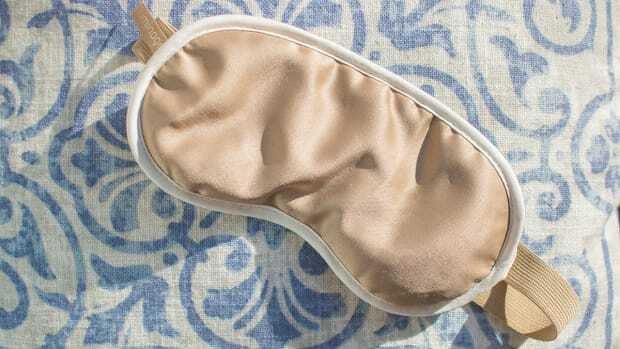 The company says you can expect to see visible improvement in skin texture after just two weeks of daily use (once per day). There are three settings; depending on whether you use Low, Medium or High, each session takes between two to 10 minutes. That&apos;s not a lot of time at all, right? The best results come after a full eight-week course of treatment (they recommend eight weeks on, four weeks off) and get better the longer you use it. A few weeks after the eight-week mark, you&apos;re supposed to start seeing improvements in discolouration and fine lines and wrinkles. It would&apos;ve been nice to know how long it took to get these results, whether it was just eight weeks or longer... but still. They&apos;re impressive. I was sent my own Tria for testing purposes (amazing perk of the job, yes! ), so here&apos;s what I know from my trial. Here&apos;s what the unit looks like in the charger with the cord. The cord is just attached to the charger, not the device itself, so you don&apos;t have to worry about having to be near an outlet when you&apos;re using it. 2. Wash your face. Once that&apos;s all in order, you want to wash your face thoroughly, since the Tria is meant to be used on clean, dry skin. They recommend using their own cleanser (the Tria Rejuvenating Laser Priming Cleanser) because any residual makeup or sunscreen can block the laser&apos;s effects, but you should be okay to use your own face wash, as long as you&apos;ve got something that will cut through and fully remove those ingredients. 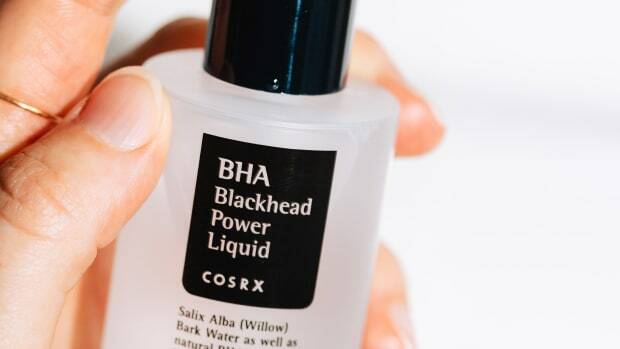 Unlike many other at-home devices, you don&apos;t need to apply a gel or any type of serum, as the device is designed to glide easily across bare skin. 3. Choose your setting. Like I said, there are three power levels, and you select the one you want by hitting the button on the top. Low is one green light, Medium is two green lights and High (shown here) is three green lights. You probably want to start on Low for the first week or so, until your skin adjusts to the laser. After that, you can go up to a higher treatment level. The higher you go, the faster you will get results. But don&apos;t get too cocky—you definitely feel it when go to High. It&apos;s not the worst pain in the world, but it&apos;s a definite zappy tingle, and you do have to deal with more redness and dryness after. More on this in a bit. (Why on earth does my thumb look like a dead person&apos;s in that photo?) Anyway, the device is so smart that the light only comes out when it&apos;s held flat against your skin; when you pull it away or hold it on an angle, it automatically stops. It also stops if you hold the laser for too long in one spot—you&apos;re meant to keep gliding it around from side to side. None of this stopping is annoying, by the way; it starts right back up where you left off just as soon as you get back in position. This just prevents you from hurting yourself or shining the light into your eyes. No goggles required with this guy. On Low, you&apos;ll hear a beep every 30 seconds, which tells you to then move on to the next zone. After the two-minute treatment time is up, the device automatically shuts itself off. 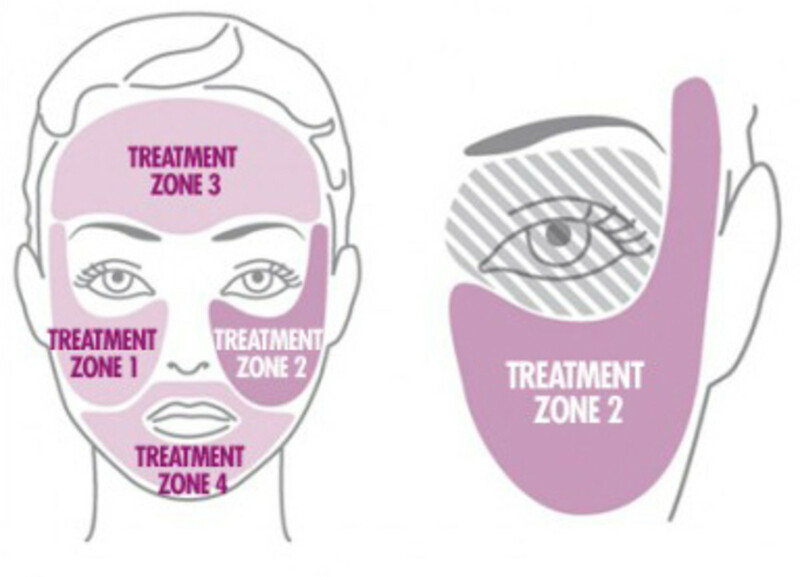 Medium is one minute per zone (four minutes total treatment time) and High is 2.5 minutes per zone (10 minutes total treatment time). 5. Apply your skincare products. Depending on what level you use, your face might feel a little hot when you&apos;re done. This is supposed to go away within 30 minutes, but you can apply cooling, hydrating products to ease it a bit, like a facial mist, a soothing serum or moisturizer, or their Tria Rejuvenating Laser Finishing Serum. You may also get redness, which they say goes away in three days, but for me, stuck around much longer. I also noticed temporary inflammation (it goes away overnight) and a rough, dry, flaky skin texture. It&apos;s best to do your treatment in the evening so that your skin has a chance to calm down by morning; also, don&apos;t forget to apply sunscreen religiously before you go outside to keep up your results. Can you use the Tria at the same time as active ingredients like glycolic acid or Retin-A? It really depends on the degree to which you&apos;re experiencing the above side effects. 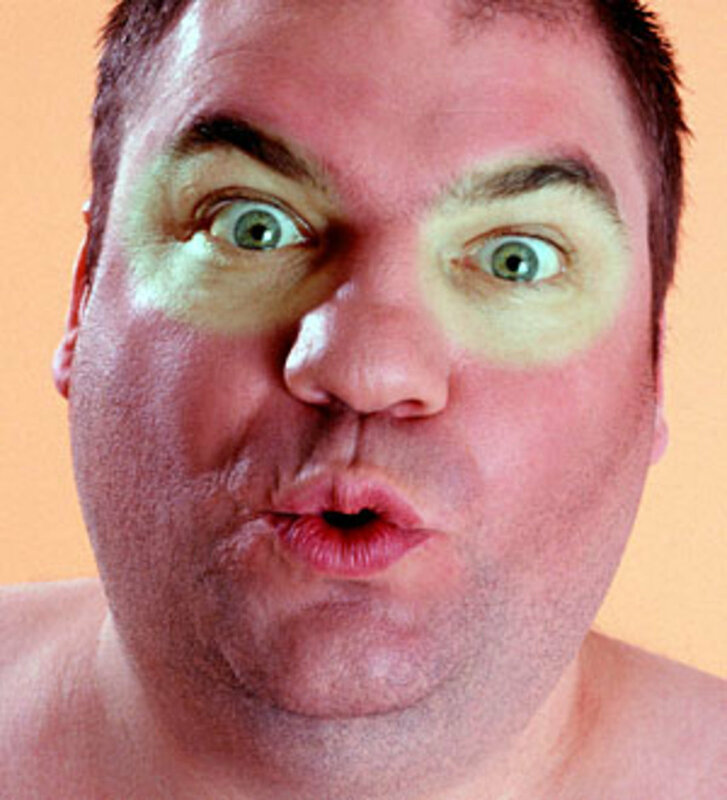 If your skin is really red, dry and flaky, then rubbing Retin-A on top straight after isn&apos;t going to do you any favours. You could cut down your regular usage to half as frequently and see how it goes; you may even find you don&apos;t need those ingredients at all while you&apos;re using the Tria. 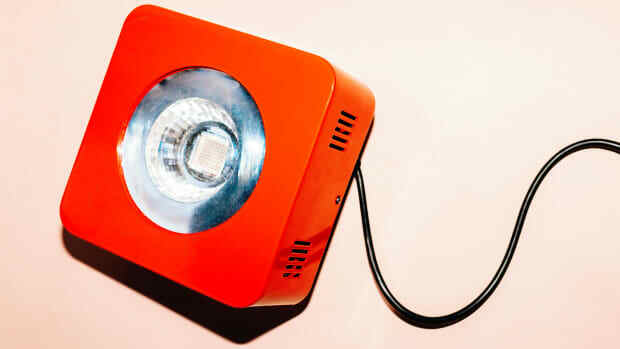 It is safe to use it with red light devices such as the LightStim or the Baby Quasar, however. Red light is very healing, so those treatments can only help. 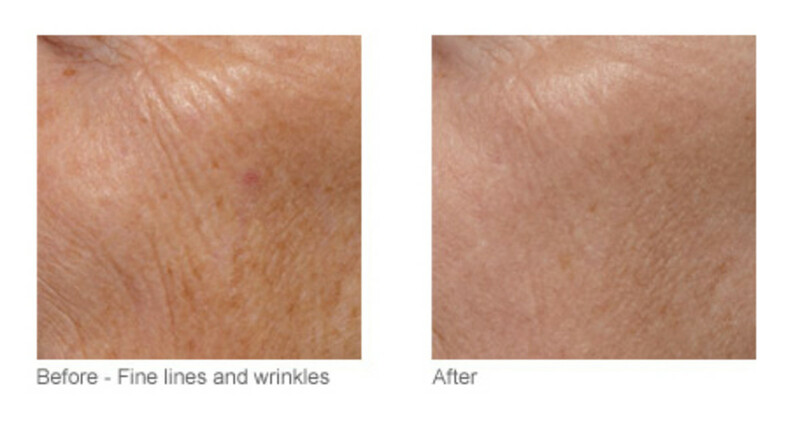 So... does the Tria anti aging laser get results? Well, I gave it a shot, and I think it really does... except for one small problem. My unit bit the dust about four weeks in, so I had to stop my trial early and wait another couple of weeks for a replacement one to arrive, which kinda messed up the whole testing process. Yep, it just suddenly stopped working and wouldn&apos;t even turn on after a full charge. From some Internet sleuthing, it seems they do have a bit of a problem with this happening, but they will replace the unit for you at no charge, so it&apos;s not like you&apos;re stuck with a broken one. I could just about cover it up with makeup, although it was weird to see the difference in skin colour where the edge of the laser stopped, like around my lips and eyes. Not gonna lie, didn&apos;t love that. Along with the redness, I also got very rough skin, so makeup didn&apos;t go on that great and my skin didn&apos;t look as healthy and hydrated as I would&apos;ve liked it to. But, those changes also meant I wasn&apos;t just shining a light on my face for nothing! The biggest thing I noticed was that a sun spot I have on my cheek—a really big one that always bugs me—actually got darker when I was using the Tria. 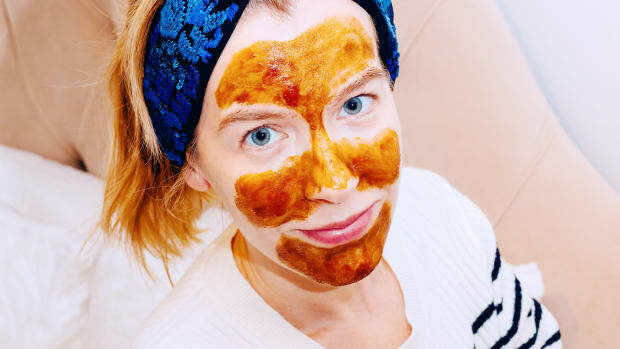 That means the pigmentation was being treated and rising up through the skin layers to be exfoliated away. Now, when I look at it weeks later, it seems to be lighter than pre-Tria. I don&apos;t think I&apos;m imagining it! Oh, and even though it&apos;s not marketed as a device for acne, I&apos;m fairly certain I had ZERO rogue pimples during the month, even through PMS time. 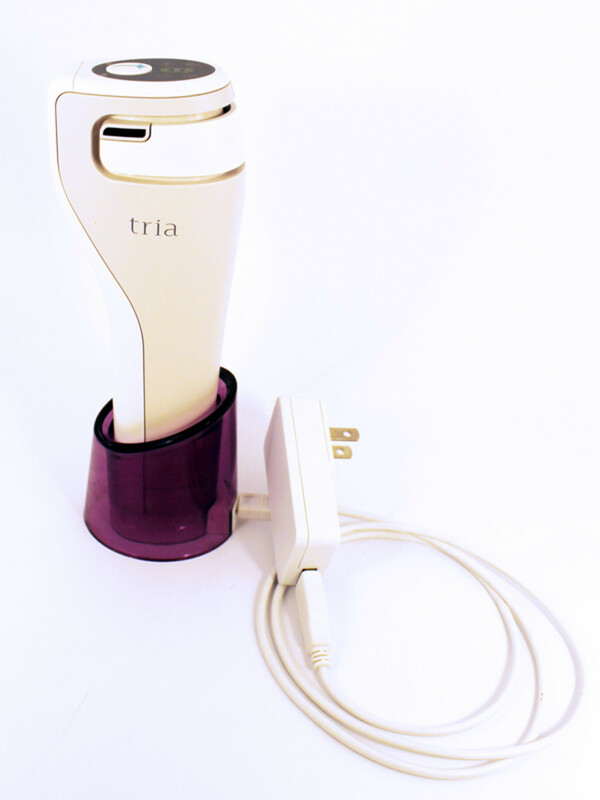 Pigmentation, smoothness, plumpness: "I was skeptical (but hopeful) when I purchased Tria. Nothing has ever worked for me (except Botox and fillers), even Retin-A and vitamin C have shown little results. So I was fairly stunned to see quite a quick improvement in my pigmentation, but more noticeably some undefinable improvement, perhaps more smoothness and plumpness of the skin. No one has noticed these changes except me and I doubt it would be particularly evident in a photograph, however I would call the improvements subtle but substantial!!! I can&apos;t wait to see what future treatment phases yield." Skin tone, lines, pores, firming: "I am in the middle of round three and using and using mostly level two. I used to have uneven colour but now my complexion colour is very clear and even.... The line/wrinkle from the outside edge of my eye just disappeared. The pores are really not very noticeable, especially on the cheeks, where the skin is just smooth. The smoker&apos;s lip has improved so much already. I really love and can&apos;t get over the change in the area at the sides of the mouth. No more droop line, just a softening of the area. This spot I feel has really taken years off... and it just keeps getting better all the time. I love my Tria." Lines, skin tone, pores: "I am noticing a decrease in the smoker&apos;s lines too and it&apos;s very encouraging! Overall I really feel my skin looks more refreshed and refined, and the pores on my nose and cheeks are much less noticeable. I&apos;ve just started round two and am looking forward to see what transpires." Age spots, lines: "I&apos;ve had my miracle machine for a year now and I won&apos;t be without it! I have eliminated my age spots on my face and hands and my non-smokers lines and the &apos;side of my mouth&apos; lines are lessening. Let&apos;s put it this way, in the last year, they have lessened because of my Tria, rather than gotten worse with age. I&apos;ve only done one eight-week treatment on my hands and neck, and the skin on my hands has tightened up considerably. My neck still has some &apos;turkey&apos; skin but that, too, has gotten better... even with one course of treatments. So, in a nutshell, my face, neck and hands look better this year than last. As I&apos;m 60 now, I can&apos;t ask for anything better." Skin tone, pores, acne, scarring: "I&apos;m on my first break from eight weeks of the Tria, which I mainly used on level two. Here are the results I&apos;ve noticed so far. Definitely I have more even skin tone and colouring. My pores are smaller. I didn&apos;t expect this since I have oily skin and even at my age continue to break out on occasion. Blackheads and whiteheads have lessened, and I had no breakouts at all during the eight weeks of Tria use.... I had about five small icepick scars on the left side of my chin that I always wanted to get rid of, but dermarolling didn&apos;t do it. Well, they are all shallower and smoother-looking." So good, right? Tria also has a 90-day money-back guarantee, which I think is a very reasonable length of time to try it and know whether it&apos;s working for you. You can buy the TRIA Skin Rejuvenating Laser at Amazon.ca. 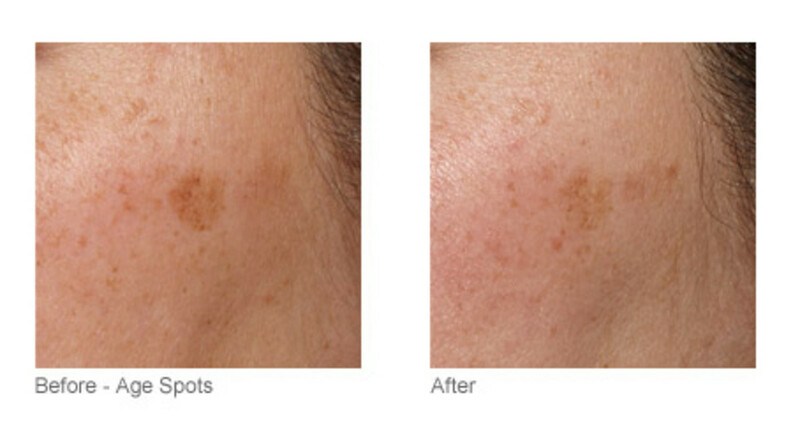 Have you ever had a professional laser skin resurfacing treatment? What do you think of this device—have you tried it or do you want to try it? What other skin gadgets do you like/not like?